Savvy Southern Style : It's That Time Again!! It's that time again! Off to Haven we go!! 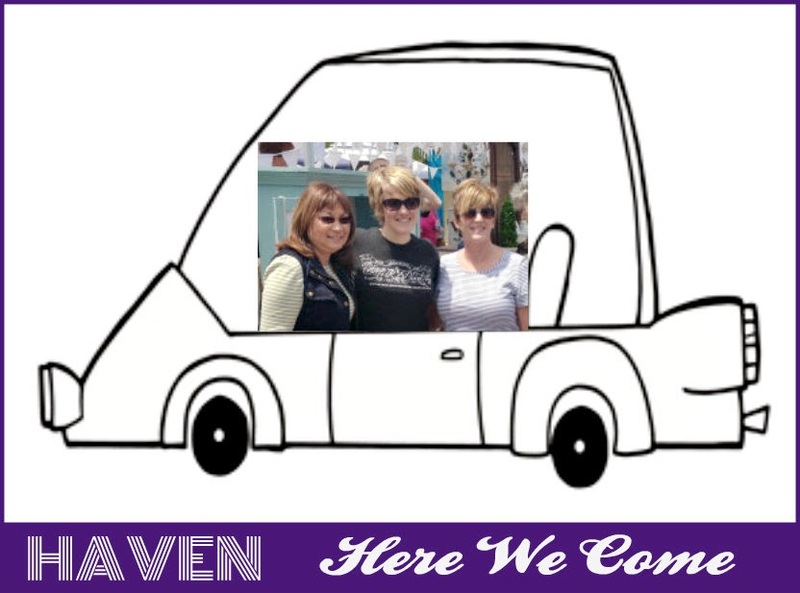 Shirley and me for sure will be attending Haven this weekend and maybe Marion. She said she might be there when we talked to her at Lucketts. Follow me on Instagram for some insider peeks at Haven. Hope to see some of y'all there!! Be sure to return tomorrow for another favorite room! Don't miss out on the Samsung Camera GIVEAWAY. car clip art found here. Sitting in the sunroom playing with Bailey...looking forward to the conference and lots of fun! Safe travels and ave fun Kim! For just a tiny second, I want to write on my car windows "Haven or bust!!" I know you and Shirley will have a wonderful time at Haven. Enjoy. Have a wonderful and safe trip..take lots of pictures for us! Have a fabulous time Kim! Wish I were able to go and even possibly meet all of you! Maybe next year. Hope you have a great trip! Have fun at Haven Kim. I wish I was there...next year! That's so cool that Shirley left you a comment while sitting in your sunroom! Feeling sad that I won't see you guys but I know y'all will have a great time! Y'all have a great time at Haven! You girls have fun. I bought a ticket but had to change my plans last minute and couldn't come this year. I'll definitely miss seeing you all!